The Honors Concert Choir, conducted by Rick Kvam, is an 80+ member ensemble of high school men and women, selected by audition. Concert Choir rehearses weekly, and performs in several season concerts and on tour to area schools. 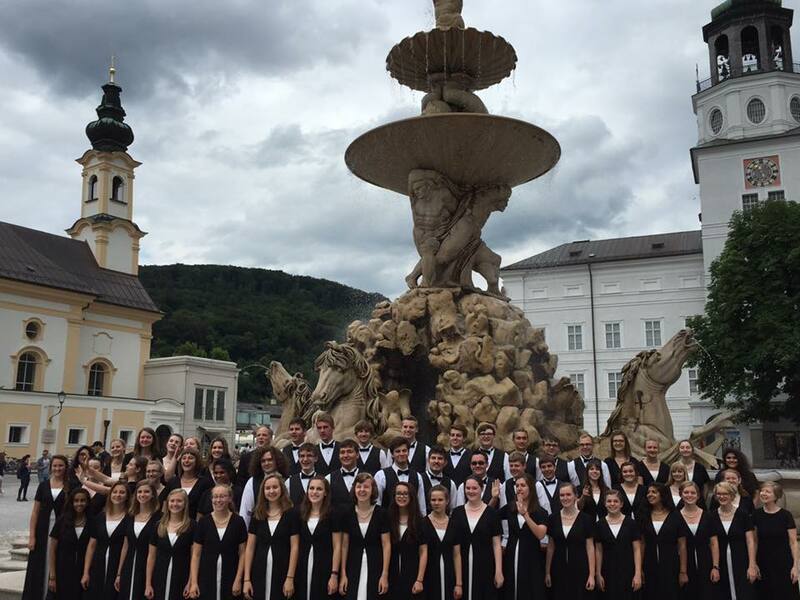 In addition, the choir takes a post-season tour every third year (1998 and 2015 to the Czech Republic and Austria, 2001 to the Netherlands and France, 2004 and 2010 to Italy, and in 2007 to Newfoundland). The choir is accompanied by Jan Kvam, and one of five ensembles of Honors Choirs of Southeast Minnesota (Rochester, MN). In 1998, 1st place at the Vienna Youth and Music Festival. In 2001, two 2nd place awards at the International Choir Festival in Arnhem, the Netherlands. Invitations to perform for the 1999 MN gubernatorial inauguration festivities, conventions of the American Choral Directors Association and Chorus America, and annual high school choir days at Concordia College (Moorhead, MN) and St. Olaf College (Northfield, MN). Chosen to be included in five different annual Best of High School A Cappella compact discs. The choir's sixth compact disc, Follow the Sun, was released in the fall of 2004. A 25th anniversary celebratory CD is due to release in April of 2017. Honors Choirs activities are made possible by the voters of Minnesota through a Minnesota State Arts Board Operating Support grant, thanks to a legislative appropriation from the arts and cultural heritage fund. Honors Choirs offices, rehearsal locations and performance venues are all accessible. All singers are encouraged to audition regardless of disability. Large print programs, reserved wheel chair seating, and listening devices are available for all performances. All requests for special accommodations will receive top priority. Contact us for pre-arrangements.